The second generation Concept2 SkiErg makes the sport of Nordic skiing available to everyone. Long recognized as delivering one of the toughest workouts around, Nordic skiing develops both strength and endurance and exercises the legs as well as the arms and core. The SkiErg can be used for both double pole and classic alternating arm technique. 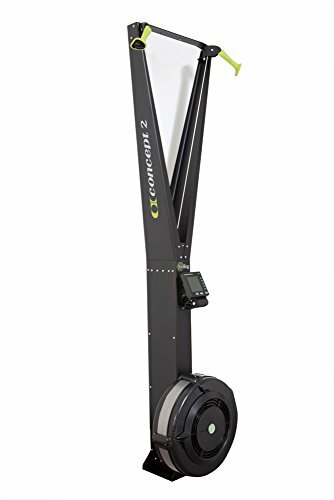 The SkiErg uses the same flywheel resistance and electronic monitoring systems as the Concept2 Indoor Rower, the proven choice of rowing athletes around the world since 1981, so you can rest assured that the machine is made to last. As well as being durable and well built, the SkiErg is sophisticated too, with an advanced PM5 monitor that provides immediate, accurate performance data. Whether you're an elite cross-country skier looking to improve your poling power, a weekend enthusiast wanting to get into shape for the ski season, or just someone looking for a great workout, the SkiErg will help you achieve your goals.